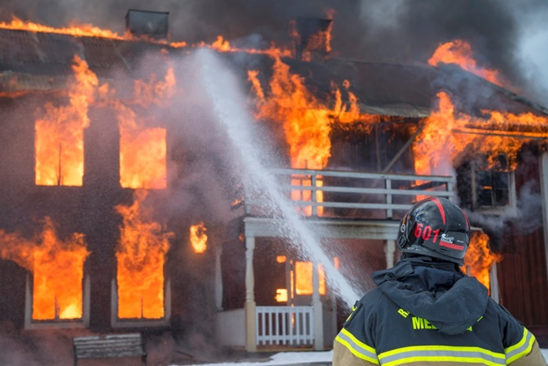 While Disaster Recovery plans, or DRPs, often focus on bridging the gap where data, software, hardware and/or business processes have been interrupted, one cannot forget the vital element of staffing that composes much of any organization. A building fire might predominantly affect vital data storage; whereas an epidemic illness is more likely to have an effect on staffing. 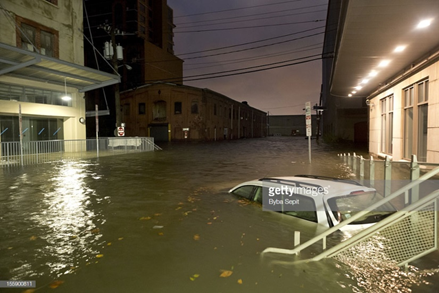 All types of disasters and risks need to be considered when creating a DR Plan. 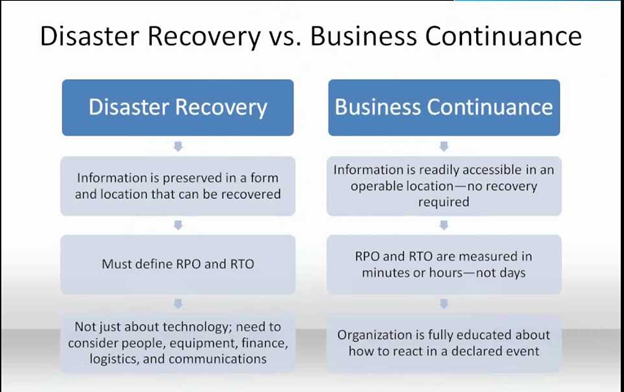 Thus, organizations should include in their disaster recovery procedures contingencies for how they will cope with the sudden and/or unexpected loss of key personnel as well as how to recover their data and knowledge. The Tri-Paragon Inc. Business Continuity & Disaster Recovery (TPI BC & DR) assessment team has actually experienced performing recovery from numerous disasters including floods, earthquakes and fires in addition to critical application outages. Without an adequate Business Continuance and Disaster Recovery plan, statistics have shown that an organization experiencing a major outage typically goes out of business 9 times out of 10. The TPI BC & DR assessment focuses on the effectiveness of the plans, the frequency of their validations, how they are maintained, and their currency for each business risk identified. Outages of critical applications can severely damage a company’s credibility and reputation and can also cause significant customer loss. Critical application outage risks have to be assessed separately and their outage impacts quantified accordingly. Similarly, if an individual is unavailable that is critical to the delivery of a service by the business – can that service still be delivered and what is the potential impact to the business? 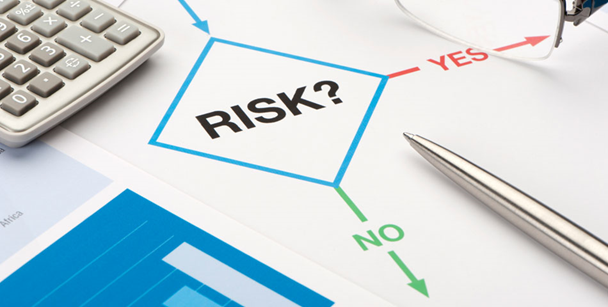 In all cases any risk which can cause serious harm to the business must have mitigation plans which can be immediately implemented. Without them the business is at serious risk. This planning process is based on a risk management methodology. The TPI Team works closely with the customer’s assigned representative in a workshop environment to assist in performing the assessment. 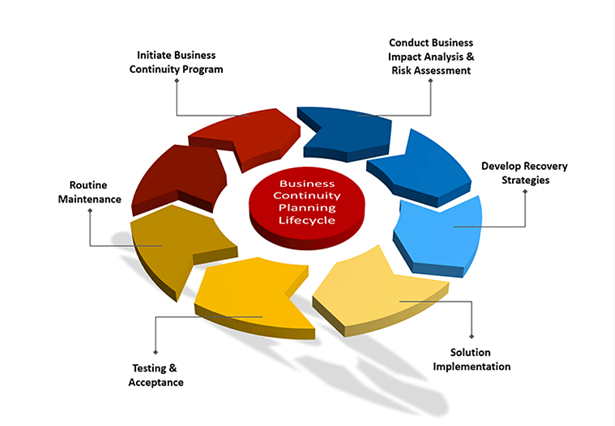 Each application, business process and key personnel are assessed separately and a business process risk profile is created so the company can better understand its risks of individual business interruptions and impacts they may have on the overall functioning and success of the business.